Nonalcoholic fatty liver disease (NAFLD) is a leading cause of chronic liver disease worldwide, accounting for over 100 billion dollars in annual direct medical costs in the United States alone. Nonalcoholic steatohepatitis (NASH) is a subtype of NAFLD that can progress to cirrhosis and liver cancer. To date, there are no approved pharmacological therapies for NASH. Vitamin E is an antioxidant that has been shown to improve the histological features of NASH in both preclinical and clinical studies. Several clinical practice guidelines recommend vitamin E as off-label treatment for NASH. Here, we discuss the complex pathogenesis of NASH, with emphasis on oxidative stress and organelle dysfunction. We summarize evidence supporting the beneficial role of vitamin E supplementation on NASH and on liver fibrosis, based on studies in animal models of NAFLD, in clinical trials of NAFLD patients and in meta-analyses. We briefly highlight the use of vitamin E in other forms of chronic liver disease, including alcoholic liver disease and chronic viral hepatitis, where the role of vitamin E supplementation remains controversial. 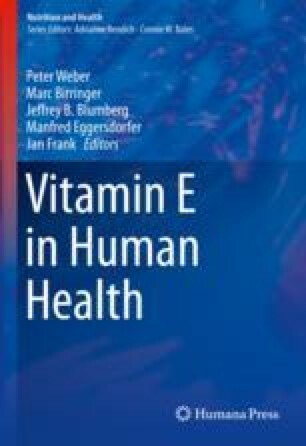 Finally, we discuss safety concerns related to the long-term use of vitamin E and suggest that risks and benefits be discussed with patients prior to initiating vitamin E supplementation.